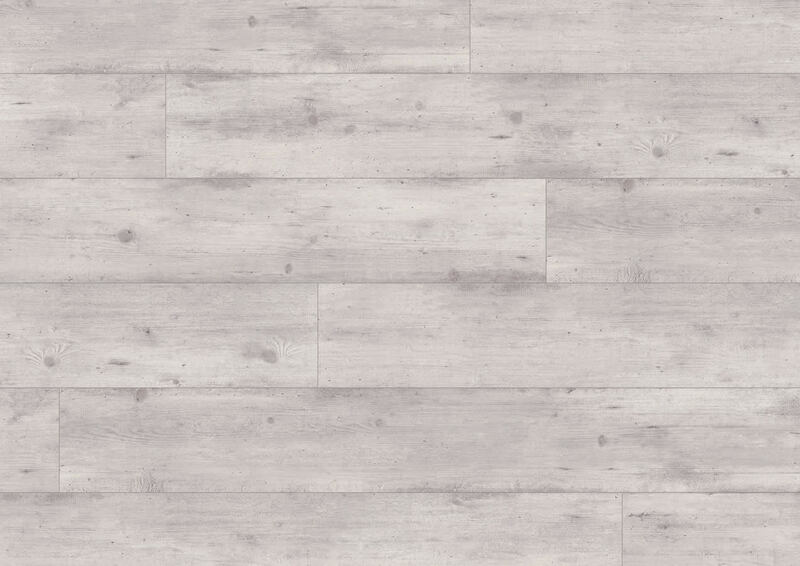 Lighten up any room in your home or office with the Quickstep Impressive Concrete Wood Light Grey laminate flooring from Flooringsupplies.co.uk. 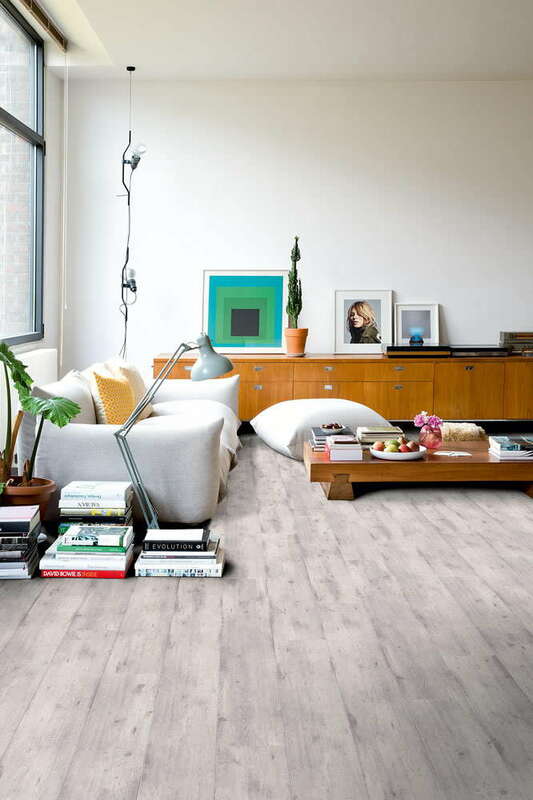 The textured surface and fresh tone will lift a room’s atmosphere making it seem more spacious, plus the incredible technology from Quickstep means that it feels just like real wood underfoot, you won’t believe that it’s a laminate! 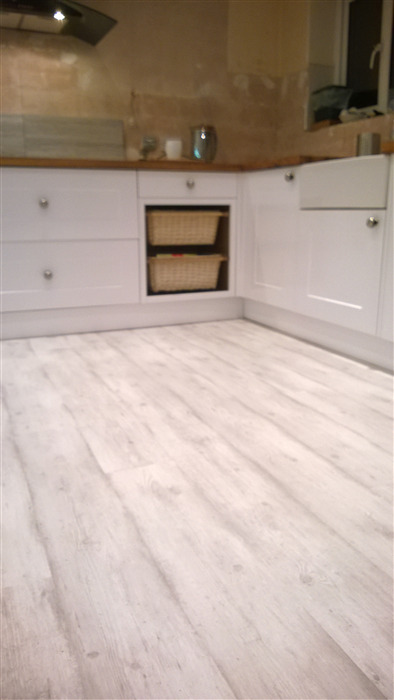 Enjoy the flooring for longer with a 25 year warranty, and in the bathroom take advantage of a 10 year water warranty*. Order your Quickstep Impressive Natural Pine laminate flooring from Flooringsupplies.co.uk today. I particularly loved the finished flooring and good colour . Brings light into the rooms . Glad I chose this colour and makes rooms look bigger and bright. Good to clean. I RECEIVED A SAMPLE OF THIS PRODUCT APPROX 4 MTHS AGO. ITS PROD CODE IS IMU1861 AND IS 12mm THICK. IS THIS PRODUCT STILL AVAILABLE ? Hi there, You have written this on the 8mm version, but both the 8mm and the 12mm are currently available with plenty of stock. 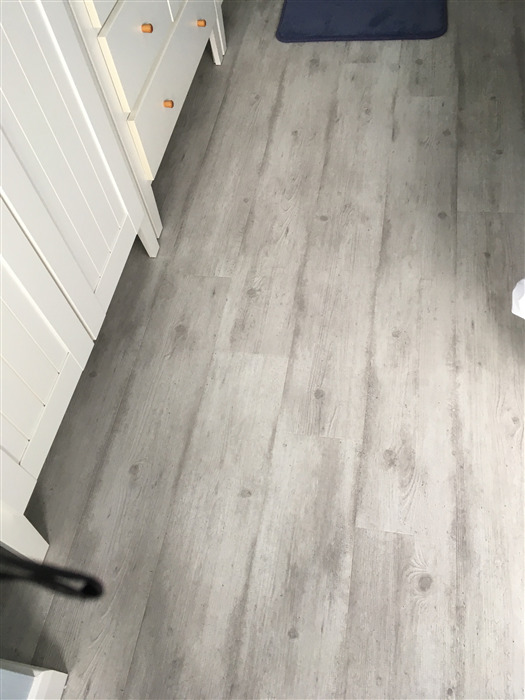 Are there any threshold trims to match concrete wood light grey or end profiles suitable for the 8mm thick impressive laminate flooring? Hi Alistair, yes, there is an Incizo 5-in-1 trim/profile - simply choose the "Impressive Concrete Wood Light Grey" colour option for a perfect match. 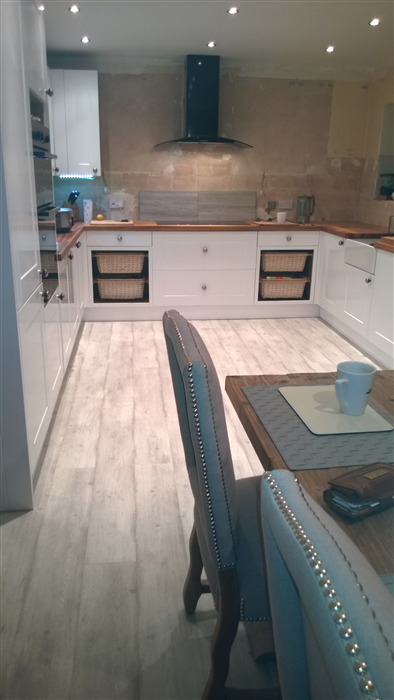 Being as thus flooring is waterproof is it made if wood or plastic.